When Kerry Packer appeared on the cricket scene in the late seventies he revolutionised the game. Today's followers are used to coloured clothing and all the other razzmatazz that is now a part of cricket. But back in 1977 Packer's intervention was divisive and nearly broke the game completely. Players were ostracised by their nations and for a while it looked as if cricket might not survive. Son of the newspaper tycoon Sir Frank Packer, the wealthy businessman shook the cricket world to the core. Henry Blofeld observed the goings on from his position as both a commentator and writer. In 1978 he compiled a detailed account of the events that unfolded, aided by his interviews with Packer, as well as the deposed English captain Tony Grieg. He witnessed at first hand the Packer Tests in Australia; The Australia-India Test series; MCC play Pakistan and New Zealand; and finally the young Australian side that took on the 'Packer-filled' West Indies. In a mere seven-week period he witnessed all the then six Test-playing nations playing Test cricket. The first time that had been possible. 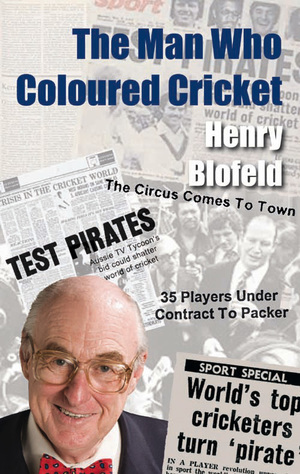 The Man Who Coloured Cricket is Henry Blofeld's detailed account of the developments that occurred throughout 1977-78. It also shows concern for the human dimensions of the controversy. The varied reaction of the English county players; overseas players; the legal tussles; the complex and surprising character of Packer himself; and the establishment figures with whom he did battle, are strands of the story expertly woven together to make a dramatic and moving story. Complete with a new afterword in which Henry reappraises his thoughts, The Man Who Coloured Cricket is a truly enthralling read for new and old cricket enthusiasts alike.